We make completely bespoke ResearchGames™ and Gamified Surveys to suit your needs. We also have a range of ready-made solutions for online research and face-to-face research. Check out our Game-Based Research Solutions below. 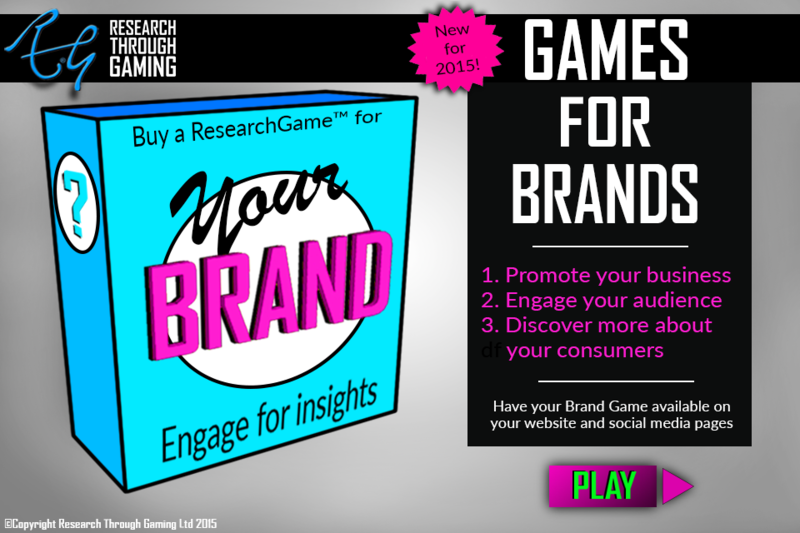 Our ResearchGames have engaged audiences for valuable insights to our clients. Now our Brand Games give you the advantage of engaging your audience while promoting your business and gaining valuable information about your consumers. Your Brand Game can sit on your website or social media pages as a publicly available platform, or why not keep it secret to a select group? Our Brand Games are where Marketing truly meets Market Research. We know that many of the brands we work with don’t just want a one-size-fits-all approach, and that’s why we offer Bespoke ResearchGames™ that are as unique as your business, consumers and your insights. Our Bespoke ResearchGames™ can be publicly available on your website and social media pages, or only go out to selected groups. With increased engagement, response rates and data quality, you can be assured that our tailor-made ResearchGames™ will fit your needs precisely to gather insights for informed business decisions. 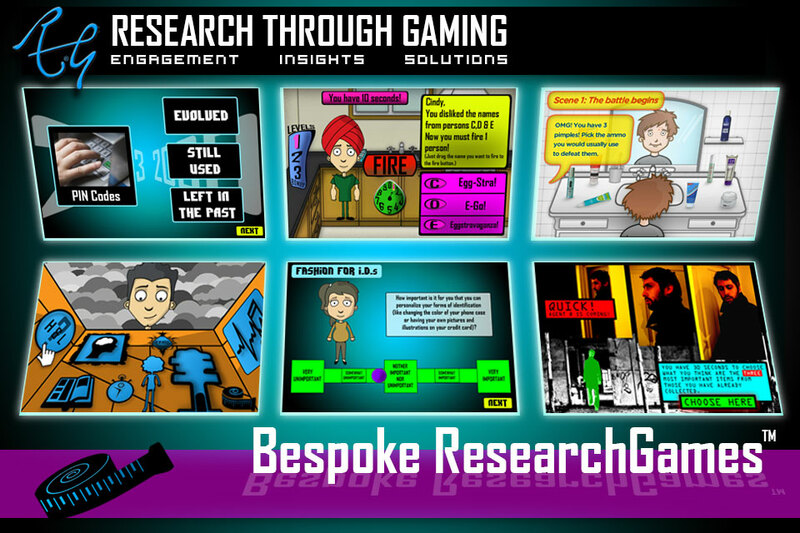 Get in touch to see one of our Bespoke ResearchGames™ in action and find out more! Don’t want to use a fully-fledged Game for research, but want to gain the benefits of Gamification? Interested in using this technique, but don’t want to change your survey questions? We can help you increase engagement and response rates through implementing Gamification into your survey or research product. Our expert experience has meant we’ve helped market research agencies globally realise the potential for their surveys and help their clients through Gamified Surveys. Talk to us about our Gamified Surveys today. 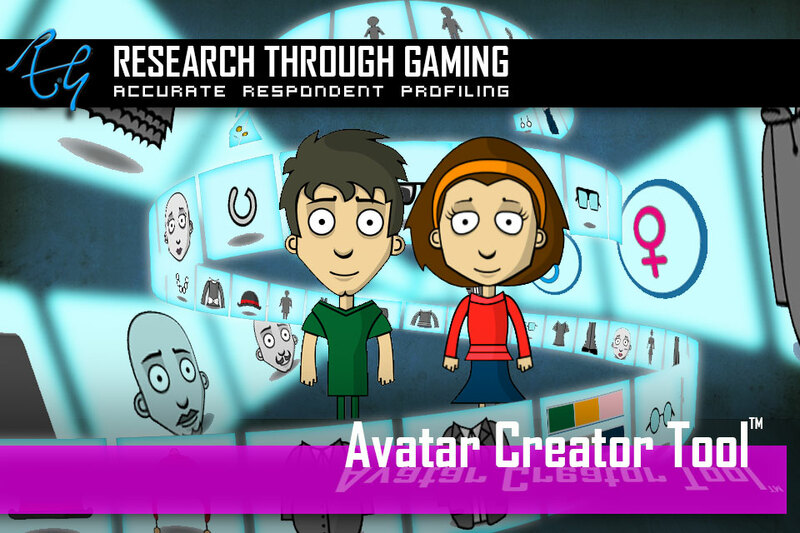 Use the Avatar Creator Tool in your online surveys to gain demographic information about your audience, and engage them through making a digital ‘Playspondent’. Our Avatar Creator Tool is FULLY customizeable so if you want to find out which mobile phones your participants will choose, then sure, we can add in mobile phone accessories. If you want to find out which fashion brand your participants like, then we can add in various garment types, in different colours for preference testing. Want to launch a new product, but have no idea what to call it? What flavours it should be in? Or even what you should choose for the packaging? 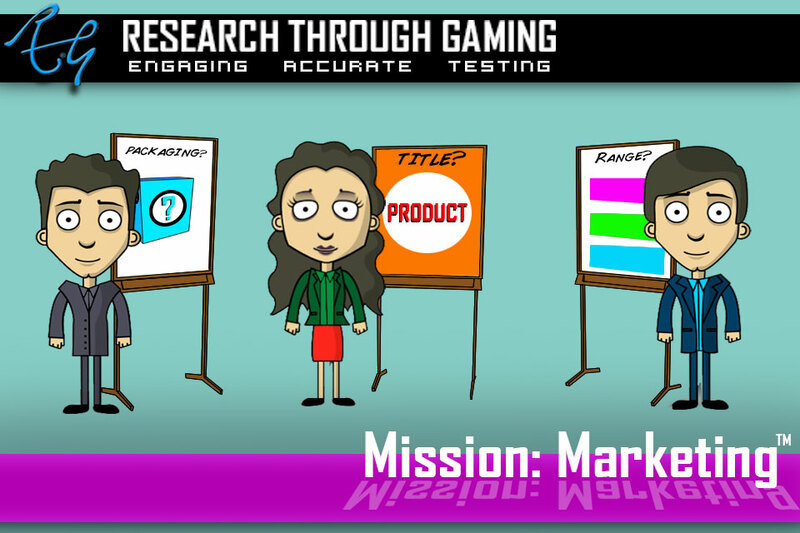 No worries – let the research participants help you in the “Mission: Marketing” ResearchGame. 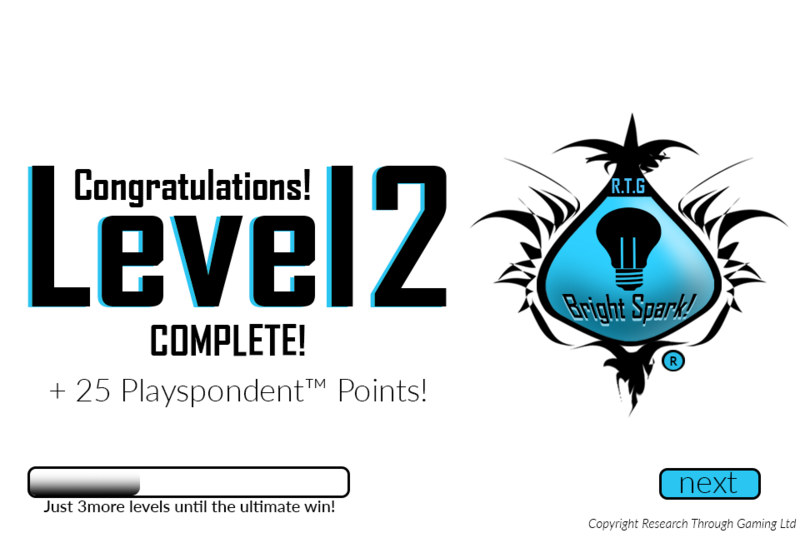 Through three levels, each playspondent will overcome tough decisions in order to make the best choices for your brand. 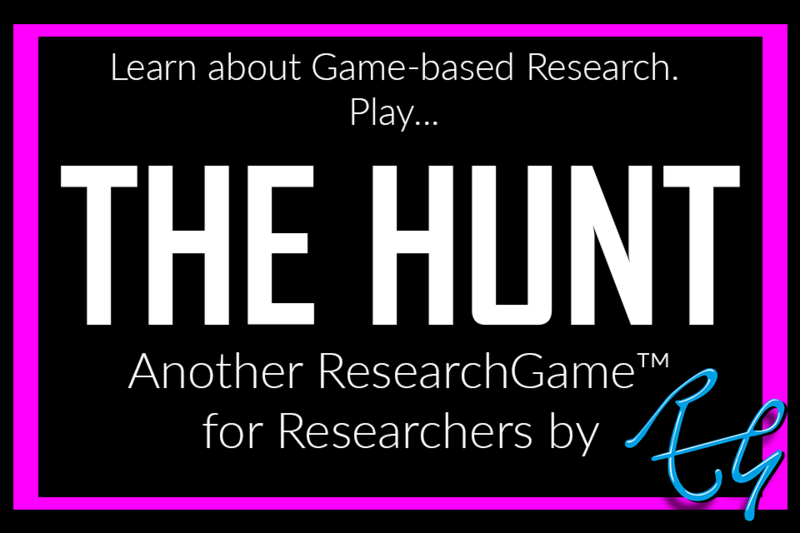 In order to help researchers understand more about Games and Gamification for Research, Betty designed the practical-based game ‘The Hunt’, a knowledge-hunting and collaborative game that Betty uses as part of her Playshops. Find out more about our Playshops and see how we can help you. 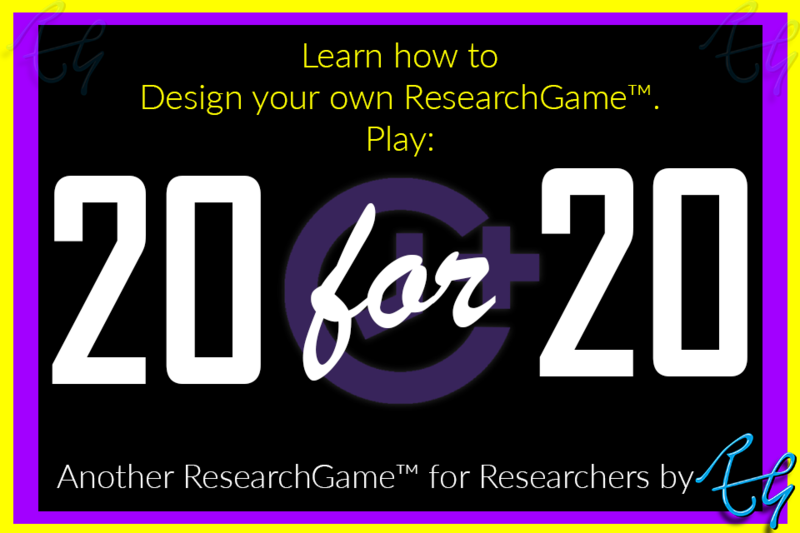 20 for 20 is a game to help researchers design Games for Research. Betty designed this game in order to introduce a way for researchers to learn-by-doing in her Playshops, where researchers are given a real research brief and only have 20 minutes to design a 20 minute ResearchGame. Find out more on our Playshops site.